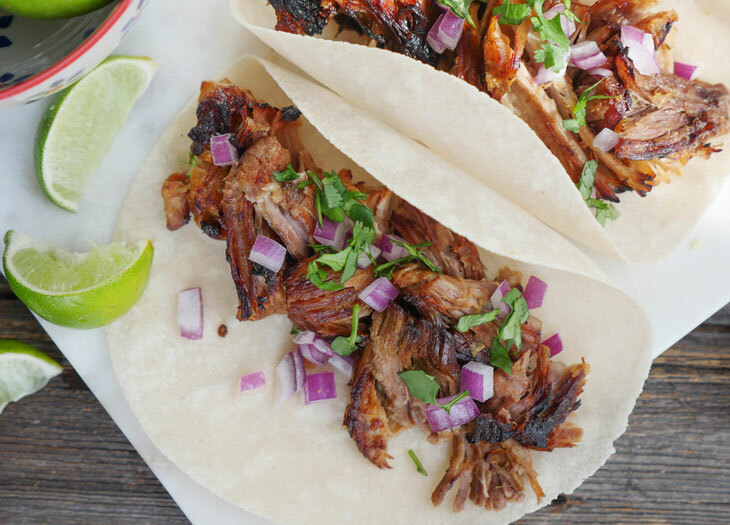 The most amazing carnitas are so easy to make! Just look at that crispy, caramelized pork! This meat is so juicy and tender and tasty! the whole family will love them… because tacos! perfect weekend meal + makes a weeknight feel special… because taco party! The Instant Pot does all the heavy lifting in this recipe and it’s the reason that you can have this ready so quickly (relative to a slow cooker, which takes all day). 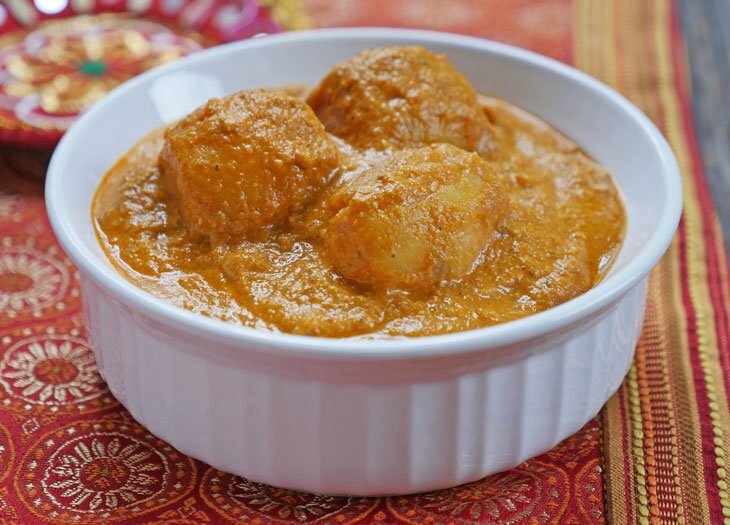 The meat cooks in a sweet and tangy sauce made up of orange juice, lime juice and spices. Once the meat is done pressure cooking, you pour it out onto a sheet pan and then let the broiler take over. Broil the meat before you eat it so that you’ll get tender AND crispy meat. The BEST. If this recipe looks a bit familiar, that’s because it is. 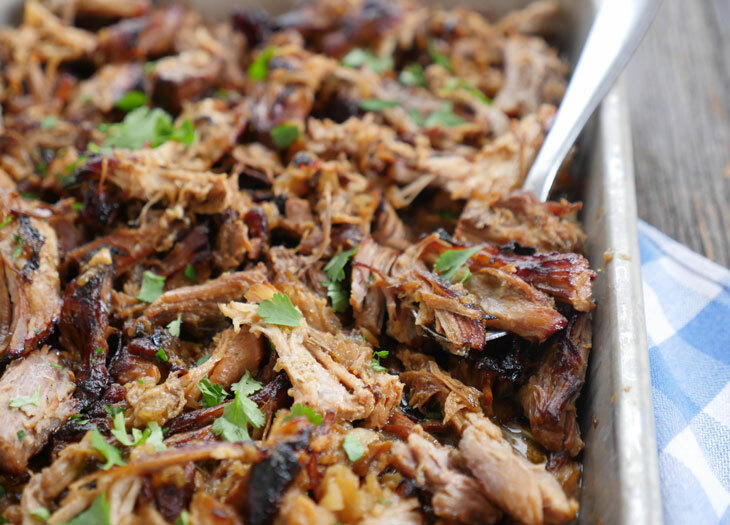 I figured out the secret to good carnitas awhile ago when I shared this slow cooker carnitas recipe on the blog. 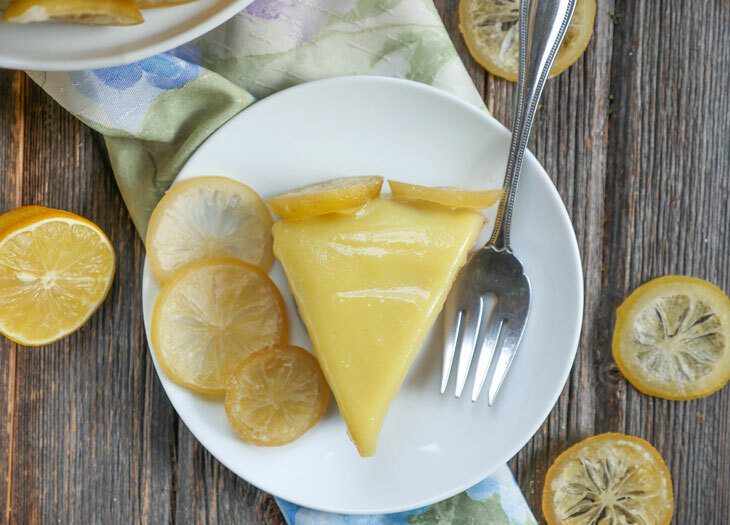 I thought about just updating that recipe to include notes on how to make this in an Instant Pot, but so many of you like it the way it is so I didn’t want to suddenly change up the ingredients/method on you. Instead, I’m sharing this recipe which is similar, but to be honest – I like this one better. Go ahead and make some tacos! Secure the lid, close the pressure valve and cook for 75 minutes at high pressure. Place the meat onto a foil-lined baking sheet, ladling some of the sauce on top. Broil the meat for 10 minutes, stirring the pork at the halfway mark. The edges of the pork start to brown and crisp up. Spoon more sauce onto the pork prior to serving. 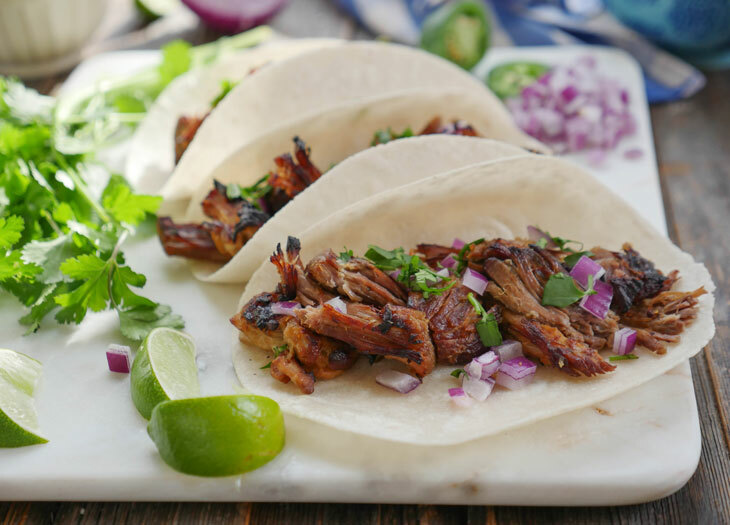 Store the carnitas in their sauce to maintain flavor and moisture. Broil the meat prior to serving. Serve with: avocado, salsa, limes, cilantro, red onion and tortillas. 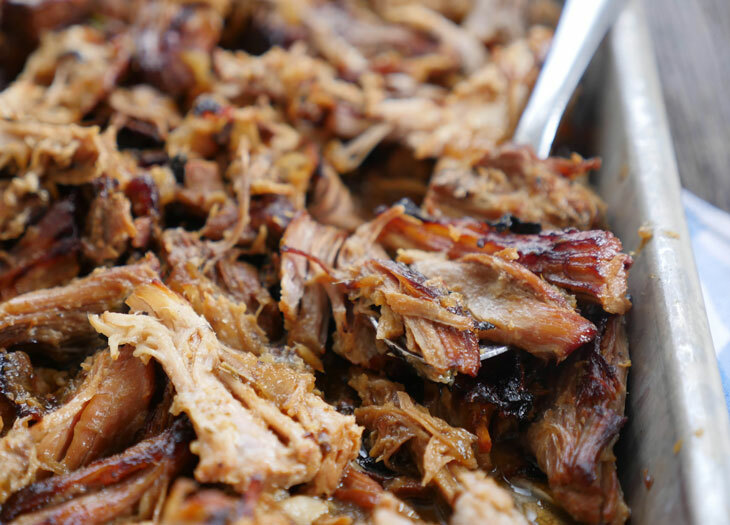 If you would like to reduce the cook time, then cut the pork shoulder into smaller pieces. Hi Ashley! 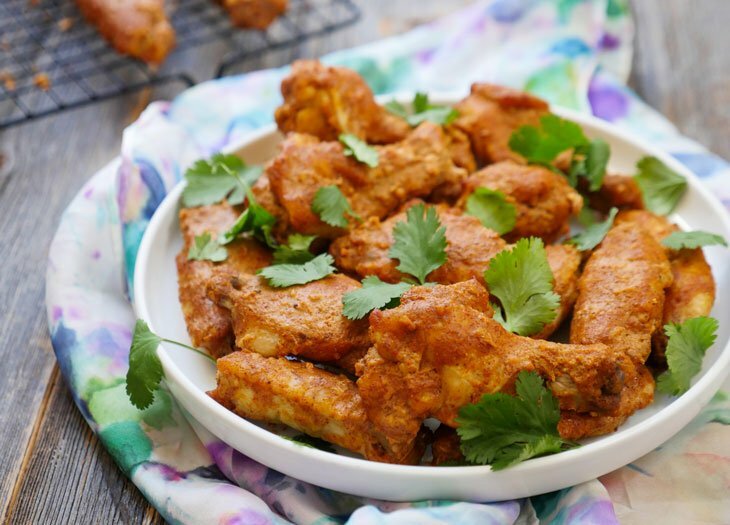 Could this recipe be used with chicken for chicken tacos? Hi Maneesha! I think so, but with a shorter cook time! I love the idea, maybe I’ll give it a try one day and blog it if it turns out well 🙂 Let me know if you try first! Is your pork shoulder roast boneless? Just made this and it turned out amazing! Thank you! 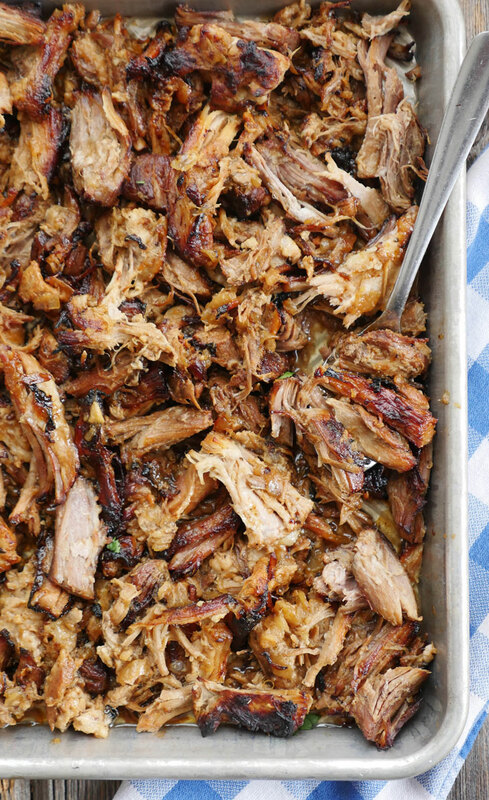 Do you put the whole pork roast in or cut it into chunks? If I cut it into chunks would the cooking time be less? Maybe 20 minutes? Thanks! 75 minutes sounds like a long time to be in the IP — is this number correct? Thanks! How long does the natural release take after cooking that Long? Kerry, I haven’t timed it but I wouldn’t think it would take longer than an hour, and if so at that point you can just release pressure. Also if you want to significantly cut down the cook time you can always cut the pork into pieces. Hope that helps! If you cut it into pieces,how long do you cook the meat? Is there a substitute for orange juice that would be Keto? Thank you! Ashley – you mention sauce in your recipe .. what sauce do you use? Hi Nikki, I’m talking about the liquid that will be in the pot once the meat is done 🙂 It’ll be really flavorful! Hi Ashley – Pork should roast? or do you just get pork shoulder meat? sorry but what’s the difference? It’s the same thing 🙂 You can always ask someone in the meat department to make sure you are getting the right cut but typically it’s called pork shoulder roast. Let me know what you think if ya try this! This seems like it will make a ton of meat. I was thinking about freezing half. Would you freeze it in the sauce and then broil it once thawed and ready to serve? Yup, that’s what I’d do! wow 75 minute seems like an awfully long time I did 3 lbs for 30 mins with a natural release.